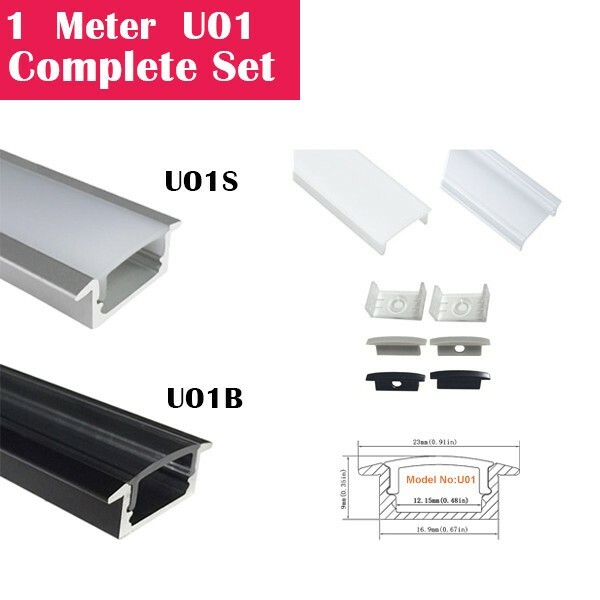 U Shape LED Aluminum Channel System with Cover, End Caps and Mounting Clips Aluminum Profile for LED Strip Light Installations. LED aluminum with trim is easy installtion by put in the camber concave and won't take up too much space or destroy the installation surface. Shipping Time. : 5-10 Days via Express 20/20 $2.92/ea. Shipping Time: 25-35 Days via Seafreight 5000/4000 $1.75/ea. 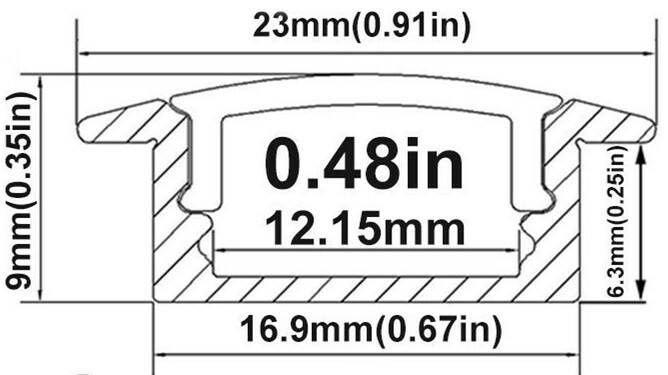 12.15mm inner width for PCB width <12mm LED Strips, such as 3528, 5050 & 5630 LED strips. Oyster white cover: provide a well diffused light that is comparable to neon effect, ideal for decorative and accent lighting. Transperant Cover:can spread the led light uniformly and soften the light spray. LED Aluninum profile：Good for Led strip light works, Conducts the heat produced by led strips and ensure it works well,better for long life span., won't produce any pollution or make out noice, can help protect the enviroment.Black and silver both are available. Black LED Aluminum channel compatible with transperant cover and end caps,while silver led channel compatibel with oyster cover and end caps. As for the mounting chipls,it is the same with the channel's. 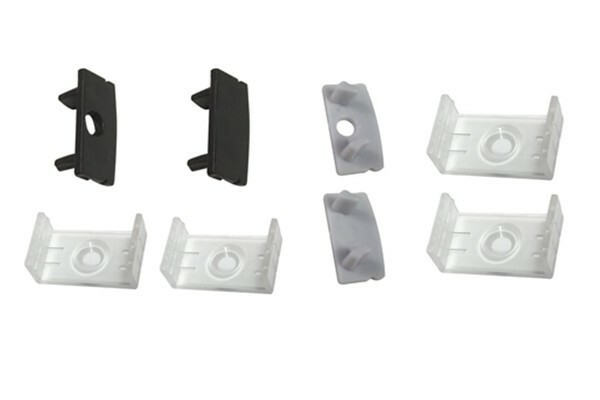 Using the anchoring and mounting clips to fasten the led aluminum channel on the installation surface you needed then put the end caps into the end of the channel. 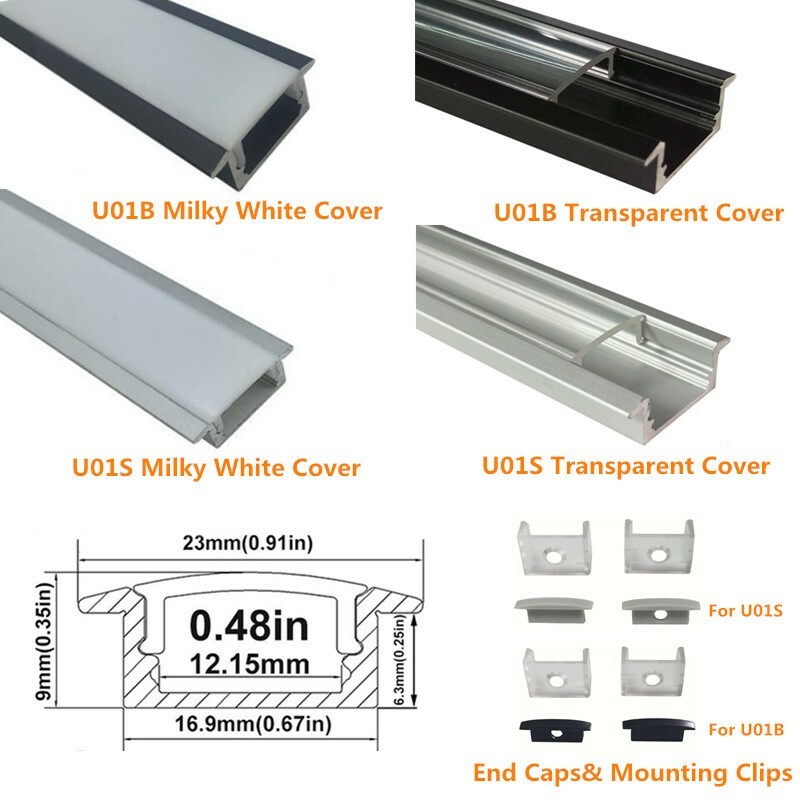 Fits many popular flex and hard LED strip types (such as 3528, 5050 & 5630 LED strips) Aluminum extrusion profile with right angle for corner mount LED strip up lighting and down lighting project.